ProductSafe security cases are designed to protect valuable merchandise from theft and damage. Roll down cases are easy to use and easily lock into place. When open, the security door is completely out of sight. ProductSafe security cases are virtually indestructible, which is why they are perfect for keeping valuable products protected. ProductSafe cases are ideal for protecting cell phones, cigarettes, cameras, video games, DVDs, jewelry, designer glasses, pharmaceuticals, electronics, medical records, liquor, valuable collectables, and many more! 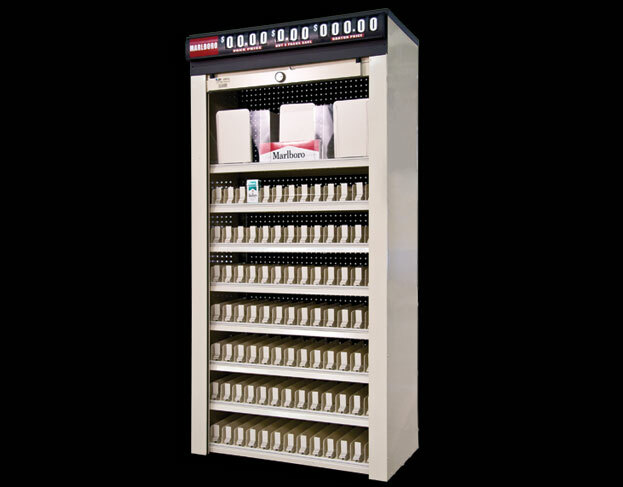 ProductSafe steel cases display and protect valuable merchandise. 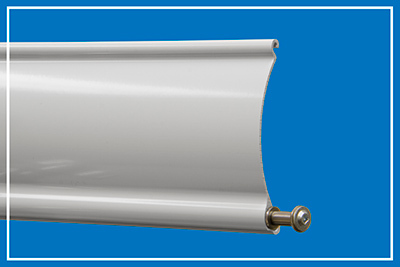 Roll down cases are available in several sizes, shapes, and colors. Custom designs for hard to fit areas are also available upon request. QMI proudly offers service, installation, warranties, and technical support. QMI keeps replacement parts for all of our products in stock. 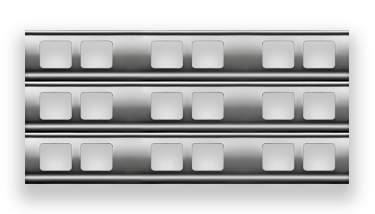 Many of QMI’s customers employ the “layers of security” strategy, which includes alarm systems, interior mounted security shutters, and free-standing ProductSafe cabinets. 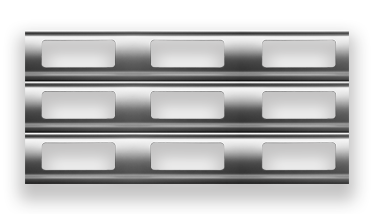 Security layering is designed to create as many security barriers as possible, in order to decrease the amount of time a burglar has to grab merchandise. A thief knows they have two minutes or less. 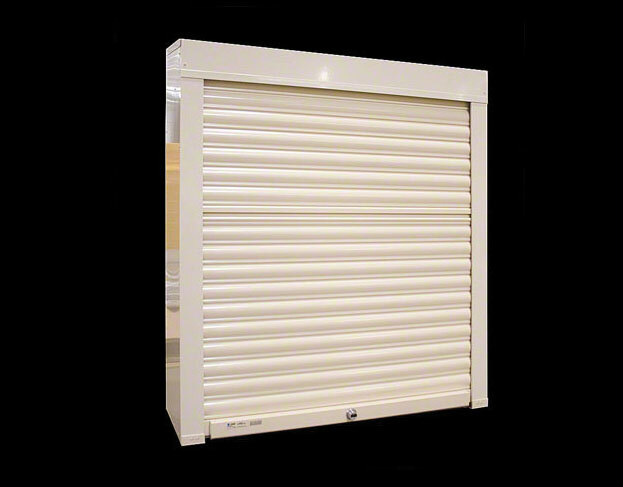 Aluminum shutters at the storefront or a ProductSafe case alone would take more than two minutes to bypass. Often, the storefront security shutter is mounted on the inside of the glass. This may seem illogical, but if the shutter was mounted on the exterior thieves could spend an unlimited amount of time attempting to bypass the gate. Interior installation means that once the burglar breaks the glass or the door, the alarm goes off. Then, the burglar must bypass the security shutter very quickly, which cannot be done. For this reason, QMI protected retailers rarely have break-in attempts. One national retailer found that after protecting 1,000 stores with QMI security shutters and aluminum shutter ProductSafe cases, burglary attempts dropped to nearly zero. ProductSafe cases are customized for each retailer to make sure they are convenient and easy to use. Pharmacies often use combinations of fixed upper baskets and pull out lower baskets to conveniently sort through customer prescriptions. 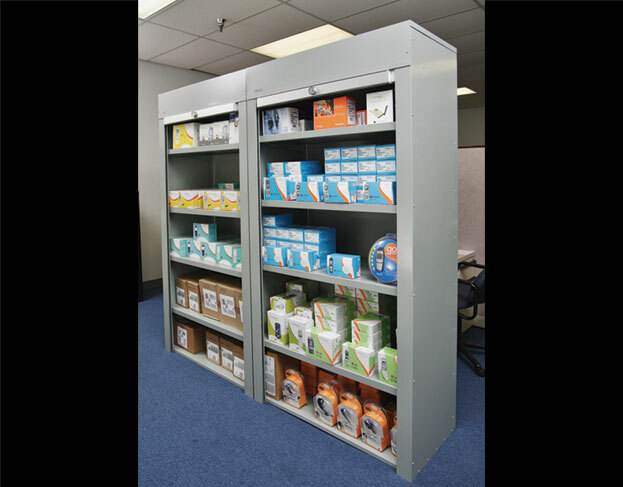 Electronics retailers often incorporate peg hooks in the upper portion of the cases for smaller items, and fixed or pull out shelves on the bottom for larger boxed inventory. Another security option is to install a solid shutter over the inventory room door and store the ProductSafe cases inside. Recently, four burglars were able to bypass a retailer’s security system. After an hour of attacking the inventory room security roller shutter, the burglars finally gave up and left. The burglars left some crowbar and hammer marks on the shutter, but the inventory was saved. QMI uses steel plates as reinforcement washers as the solid shutters are bolted through the door frame, making crowbar access nearly impossible. QMI Security Solutions offers customization, and has designed some unique solutions to protect their customer’s valued inventory. Many of these designs are confidential and cannot be revealed here. Plus, QMI likes to save a few surprises for any burglar who tries to attack one of our customers.